When you have a leaky faucet or need your carpets cleaned, the process of finding and booking a home services technician can be daunting. Who can you trust in your home? Will the person show up on time? Will the job be done well? What if something goes wrong? But what if you didn’t have to sweat the details? That’s the promise of ClubLocal, a new one-stop home-service booking solution that provides peace of mind for over 10,000 types of local services. ClubLocal prescreens and background checks service professionals, ensures they’re properly licensed and insured and checks for solid online reviews. On top of that, ClubLocal pre-negotiates all the pricing, so you know you’ll get a fair price. Scheduling an appointment is simple. 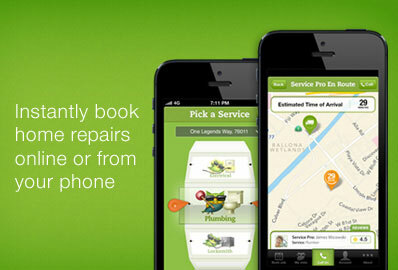 You can book online or from your iPhone or Android. Just describe your job (including photos if you’d like), and pick a 2-hour time slot. Then, ClubLocal matches you with the best Service Pro for the job. You’ll get a notification when your Service Pro is en route – with a picture, so you’ll know it’s safe to let him in – and you can even track the tech’s location in real time. Once the work is complete, you simply pay ClubLocal; your receipt and the details of the job will be saved online in your secure ClubLocal account. ClubLocal stands behind every job with the ClubLocal Satisfaction Guarantee. Sound easy? It is. But don’t just take our word for it. For a limited time, you can book a job today with ClubLocal and your first job is free, up to $100. So that leaky faucet can finally stop dripping.